The following is an adaptation of a contribution authored by “Passion for Europe”, a group of Catholics of seven nationalities. Coordinated by JESC the group finds hope for a revival of the EU in the vision of its founding fathers and believe that Christians have a special contribution to make. Human dignity, solidarity, subsidiarity, participation, the common good, universal destination of goods, preferential option for the poor and sustainability are fundamental principles of the Social Doctrine of the Church. Many of them have inspired the inception of the European project. Solidarity is at the heart of European integration process. Europe, a “family of peoples” as Pope Francis named it in his “Charlemagne Prize” address. Beyond internal transfers of resources for the sake of cohesion policies, solidarity should be understood in terms of common action. Robert Schuman explained that nations, far from being self-sufficient, should be mutually supportive and that solidarity is the conviction that the real interest of each is to recognize and accept in practice interdependence of all. All in all, their vision clearly echoes Social Doctrine according to which “Solidarity highlights in a particular way the intrinsic social nature of the human person” (Compendium of the Social Doctrine of the Church, 192). Jean Monnet’s intuition was not to make States into a coalition but to unite men. Schuman’s inspiration for Europe refers to another principle of the Church’s teaching when he said that the common good is superior to that of national interests. Again, this resonates with Social Doctrine which emphasizes that the common good is “the sum of those conditions of social life which allow social groups and their individual members relatively thorough and ready access to their own fulfilment” (Gaudium et Spes, 26). 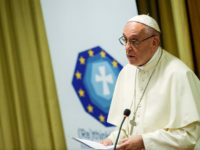 As Pope Francis said on 24 March 2017, on the occasion of the 60th anniversary of the Treaties of Rome, Europe finds hope when man is the centre and the heart of her institutions. He also warned against the temptation to reduce the founding ideals of the Union to productive, economic and financial needs. The Catholic Church in her teaching recognizes that, in a context of globalization, “the attainment of the common good has become a goal that is beyond the reach of individual States” (Compendium, 442). Recognising this, means that in relation to Europe, there needs to constitute a “universal public authority acknowledged as such by all … respectful of the principle of subsidiarity” (Compendium, 441). Schuman expressed this principle in saying that any supranational organization goes beyond the nation not to diminish and absorb it, but to give it a wider and higher field of action. The principle of subsidiarity has been introduced in the institutional order of Europe as a principle of governance. The key issue then is how European policies can make concrete the principle of subsidiarity not only between different levels of government (EU governance) but also in the economic and social fields for the benefit of the human person (EU assistance). What is at stake are the fulfilment of humanity and the respect of human dignity. 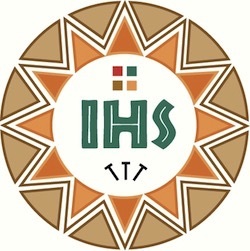 In any organization, the person fulfils his vocation only if he or she is capable of creating and if a place is given to those otherwise excluded. For Denis de Rougemont the supreme conquest of Europe is the dignity of man. This clearly connects with another basic principle of Social Doctrine: the preferential option for the poor – that the criteria of how humane a society is lies in how the weakest and most vulnerable are treated. It also refers to the concept of “creative subjectivity of the citizen” (Sollicitudo Rei Socialis, 15) which should be a special focus for Europe’s revival. In this respect, participation is a logical consequence of subsidiarity.